What is the reservation process? You don't pay anything upfront, only taxes (sales tax & credit card fee), allowed by local regulator. Rental period is 12 hours from reservation starting period. Flexible price means that 35% of your fare (only fare and extra), is going towards the lease. You can find out more about this pilot here. Price is based on local regulator's price cap for 24-hour weekly rent. 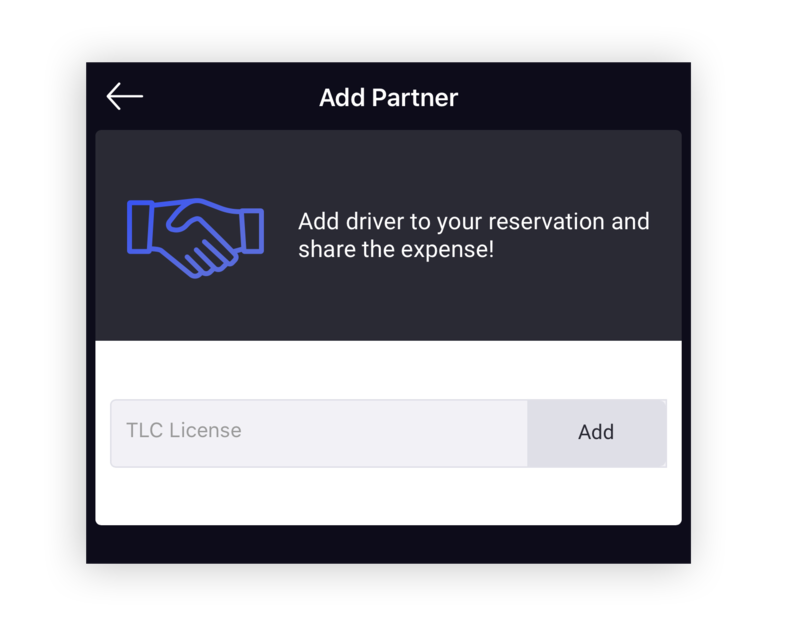 After this step, you will be prompted with an option to add a partner which is optional.